You may have heard that at the “nearby” Mesolithic site excavations have revealed a source of flint which is dyed by the bog water there to a bright pink. This colour would have been very unusual at the time(Still is, on a rock) and may well have been given some magical or supernatural significance by Mesolithic hunter-gatherers. Fascinating though these are, I really feel that the link to Stonehenge is too tenuous to take seriously. If there had been a direct link, the Henge would have been built next to the source of the stone, not on a hill 3knm away. There are no pieces of pink flint found at the henge, nor even in any of the Mesolithic post-holes found underneath the old car park. There is also the question of time - all the Mesolithic activity pre-dates the construction of Stonehenge by 4 – 5 000 years,with not a sign of any activity in the intervening millennia. No, nice idea but I’m not buying! The news is suggesting three different ideas here. The first, put forward as a current popular theory, is that the Cursus was a barrier. I doubt the popularity of the theory for a start, and I find myself asking “A barrier between what and what?” There have to be two entities or spaces that require separating for a barrier to be useful: what are they in this case? It can’t be Stonehenge – the Cursus was built 500 years before even the first phase cemetery on the site; and it can’t be that there was already an existing “zone of the dead” to be cordoned off – if that were so the barrier is completely inadequate, and anyway, the contemporary burial mounds (the Long Barrows) are all located on the edge of or outside the “zone” – indeed the cursus ends at one of them, so can hardly be separating it from anything else.Scratch that idea, too. 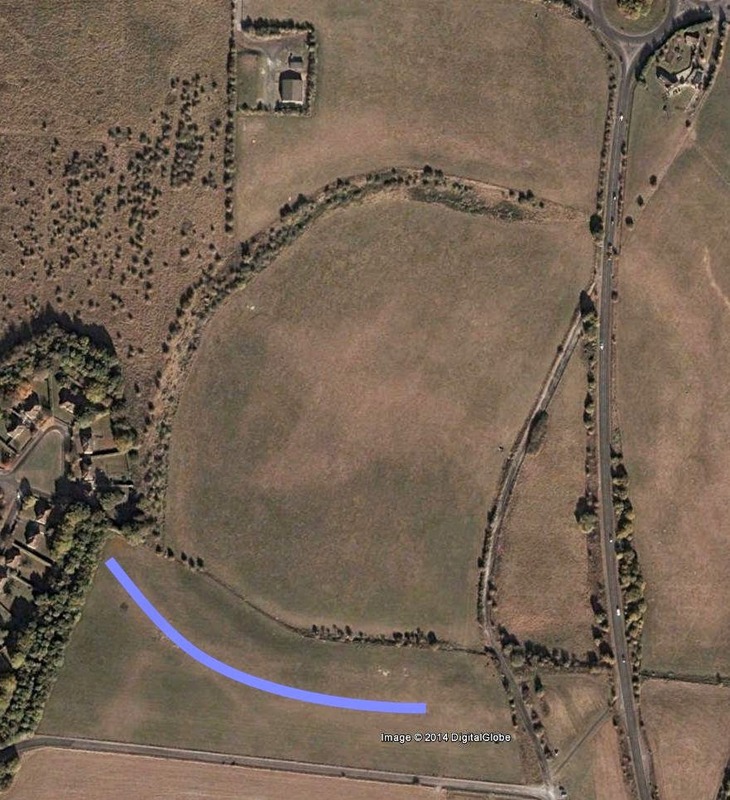 The new survey has shown gaps in the side ditches of the Cursus – hence it must have served as a Gateway! This again presupposes two separated areas and simply adds detail to the barrier theory rather than (as suggested on TV) debunking it. The cursus may be long and narrow, but it is still essentially an enclosure. The space being cordoned off is inside the banks, and the entrances are just that. This was a sacred space in the same way as later henges and probably the earlier causewayed and palisaded enclosures – it was just a different shape for a different purpose, the most likely one being some form of processional rite linked to the Long Barrow at the end of the enclosure. Then there are the two recently discovered pits, apparently forming site lines to the positions on the horizon of the summer solstice sunrise and sunset. Curiously, the site lines converge on the Heel Stone, not on the Stone Circle itself. They are clearly later than the Cursus, but without excavation it’s anybody’s guess to which phase of Stonehenge they belong. They are too wide for stone-holes but we have no idea how deep they are: are they fairly shallow fire-pits as someone has suggested, or are they shafts like the Wilsford shaft a couple of miles to the South? Whatever their purpose it is likely (my theory, which is mine!) that they were dug within the Cursus enclosure so that it would provide a clear link between them – curiously there do not appear to be any direct links between them and Stonehenge itself.Another time, perhaps, when we know more about them. Okay, well, it’s good to have something I can comment positively upon. I’m really pleased that they have found several new henges in the area: I wish I could say I’d been suggesting they must be there for years*,but sadly, I hadn’t really given it a thought. Still, there they are, evidence that the whole area was used for rituals during the henge building era (+ 2800 – 2100 BC). What we need now are some dates: Do they co-exist with the Stone Circle, or are they earlier and thus superseded by the big temple? Again, I’m very positive about this. For one thing, it finally shuts the coffin lid on Mike P P’s “wood for the living, stone for the dead” theory. Clearly life (and death) required more complex symbolism than that. It was always a dodgy analogy: coming as it did from practices and beliefs in modern Madagascar,and thus separated by 5000 years and even more miles from its application to Neolithic Wiltshire. 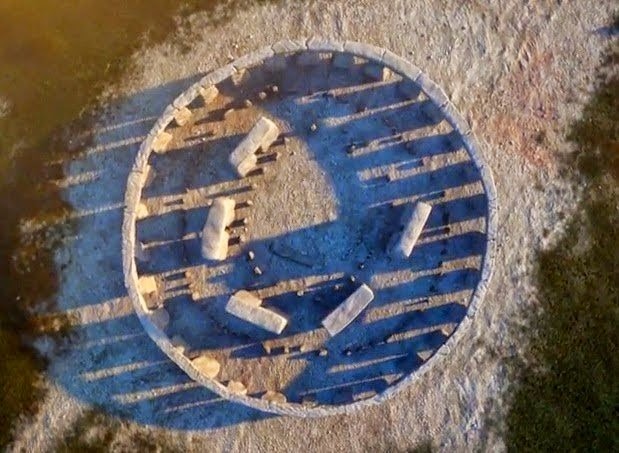 Still, it’s done a brilliant job of making us all think alot more carefully about the symbolism of the stones. Well done for that, Mike. I still need to do some research on this one from 2nd part of the TV documentary: Jackie McKinley mentioned this “family” of stiffs found “near” Stonehenge, dating to the time when the bluestones first arrived,and hailing from the West of England, perhaps from Wales. It would have been useful if we’d been told just WHERE they were excavated (though I expect to find that out fairly soon) but what puzzles me is this sudden knowledge of the date when the bluestones were brought from Wales(I note that, like the location of the burials, the actual date was not specified in the programme). English Heritage has just produced a very expensive and informative exhibition and a new guidebook neither of which specifies the date– because we don’t know it! They could have arrived when the first bank and ditch were dug – c2950 BC (my money’s on this date) – or they could have been brought in at anytime up until a few months before the Sarsens went up in around 2550BC (we assume they were there by then because we are fairly sure they were put into the Q & R holes, a setting which just pre-dates the erection of the trilithons). It will be very interesting to find out the date of the burials – if indeed they are Welsh – they could well be linked to the elusive bluestone phase. Note the correct (IMHO) recumbent Altar Stone, the Twisted Great Trilithon and stones around it as argued about at length on this blog. Has the consensus shifted? One of the latest and potentially most exciting results from the Stonehenge Hidden Landscape Project is at Durrington Walls. Using powerful ground-penetrating radar, which can ‘x-ray’ archaeological sites to a depth of up to four metres, investigators from Birmingham and Bradford universities and from the Ludwig Boltzmann Institute in Vienna have discovered a 330 metre long line of more than 50 massive stones, buried under part of the southern bank of Durrington Walls. “Up till now, we had absolutely no idea that the stones were there,” said the co-director of the investigation Professor Vince Gaffney of Birmingham University. The geophysical evidence suggests that each buried stone is roughly three metres long and 1.5 metres wide and is positioned horizontally, not vertically, in its earthen matrix. However, it’s conceivable that they originally stood vertically in the ground like other standing stones in Britain. It is thought that they were probably brought to the site shortly before 2500BC. They seem to have formed the southern arm of a c-shaped ritual ‘enclosure’, the rest of which was made up of an artificially scarped natural elevation in the ground. I have indicated the approximate position of these hidden dragon's teeth with a line - click to enlarge. It must be emphasised that these are only geophysical echoes at the moment - we have no idea what is actually buried there. It echoes like stones and they seem to be below the ancient bank but without actually digging down we won't know if what they are or from when. I just hope they aren't something the Army dug in during the last European Unpleasantness . It is also worth noting the emphasis given to the C shaped nature of Durrington Walls. This is based on the (enhanced?) scarp that surrounds the natural valley that runs up the middle of the henge, maybe to what was a winterbourne spring, The bank and ditch tend to be either side of this scarp to the north and west, and would seem to be later. As Vince Gaffney said Durrington Walls is a very three dimensional monument and flat maps deceive. 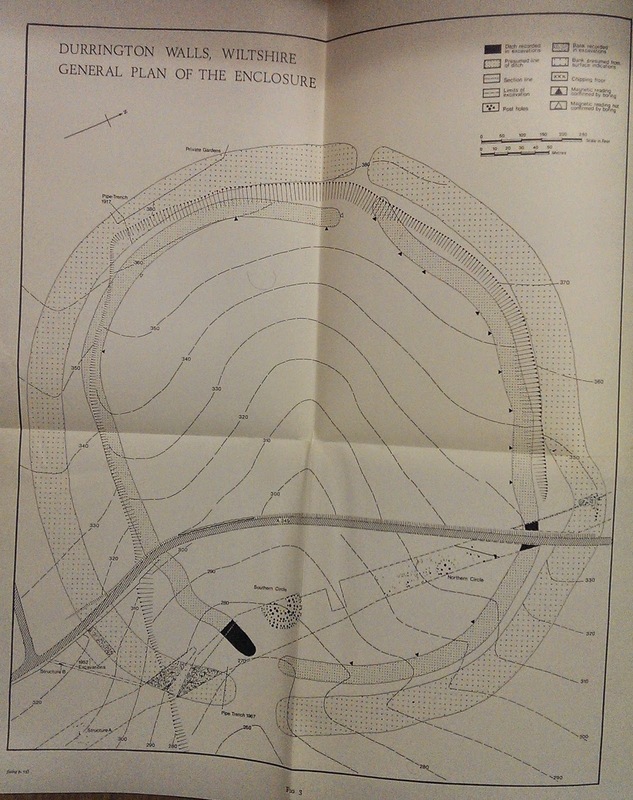 The original map form the the 1960s excavations shows the scarp and contours well. Visit http://www.lbiarchpro-imagery.at/stonehenge2014 for full size images. A host of previously unknown archaeological monuments have been discovered around Stonehenge as part of an unprecedented digital mapping project that will transform our knowledge of this iconic landscape – including remarkable new findings on the world’s largest ‘super henge’, Durrington Walls. The Stonehenge Hidden Landscapes Project, led by the University of Birmingham in conjunction with the Ludwig Boltzmann Institute for Archaeological Prospection and Virtual Archaeology, is the largest project of its kind. 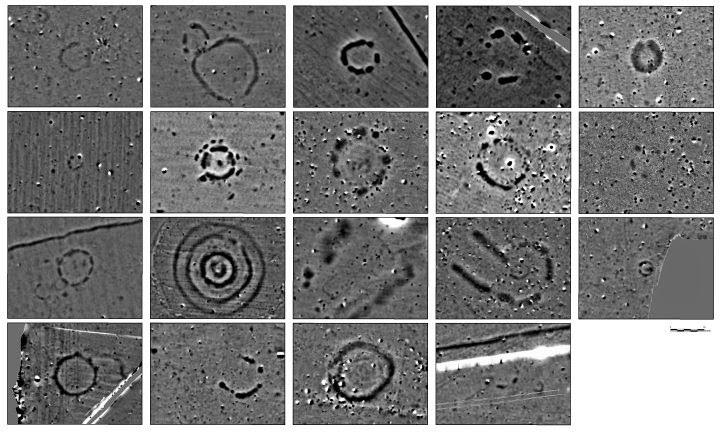 Remote sensing techniques and geophysical surveys have discovered hundreds of new features which now form part of the most detailed archaeological digital map of the Stonehenge landscape ever produced. 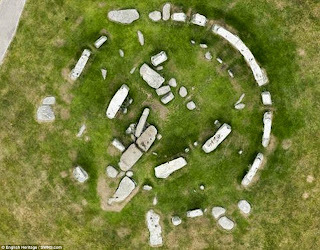 The startling results of the survey, unveiled in full at the British Science Festival, include 17 previously unknown ritual monuments dating to the period when Stonehenge achieved its iconic shape. 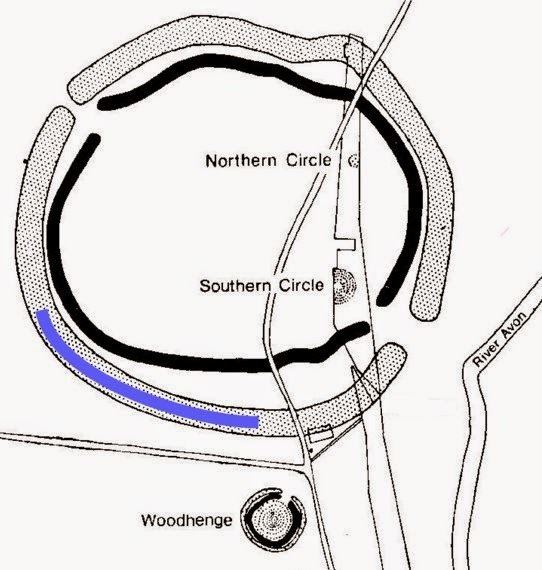 Dozens of burial mounds have been mapped in minute detail, including a long barrow (a burial mound dating to before Stonehenge) which revealed a massive timber building, probably used for the ritual inhumation of the dead following a complicated sequence of exposure and excarnation (defleshing), and which was finally covered by an earthen mound. The project has also revealed exciting new – and completely unexpected – information on previously known monuments. Among the most significant relate to the Durrington Walls ‘super henge’, situated a short distance from Stonehenge. This immense ritual monument, probably the largest of its type in the world, has a circumference of more than 1.5 kilometers (0.93 miles). A new survey reveals that this had an early phase when the monument was flanked with a row of massive posts or stones, perhaps up to three metres high and up to 60 in number – some of which may still survive beneath the massive banks surrounding the monument. Only revealed by the cutting-edge technology used in the project, the survey has added yet another dimension to this vast and enigmatic structure. Work also revealed novel types of monument including massive prehistoric pits, some of which appear to form astronomic alignments, plus new information on hundreds of burial mounds, Bronze Age, Iron Age and Roman settlements and fields at a level of detail never previously seen. 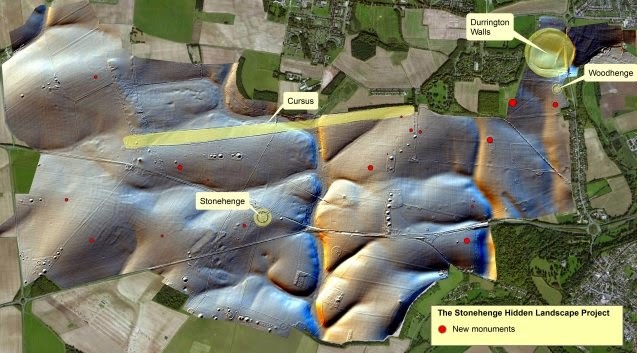 Taken together, these results – which will be featured in a major new BBC Two series titled Operation Stonehenge: What Lies Beneath – show that new technology is reshaping how archaeologists understand the landscape of Stonehenge and its development over a period of more than 11,000 years. In the year marking the centenary of the First World War, the new Stonehenge map even impacts on our knowledge of that momentous event. Surveys have produced detailed maps of the practice trenches dug around Stonehenge to prepare troops for battle on the western front, as well as maps of RAF/RFC Stonehenge – one of Britain’s first military airbases used by the Royal Flying Corps between 1917 and 1920. 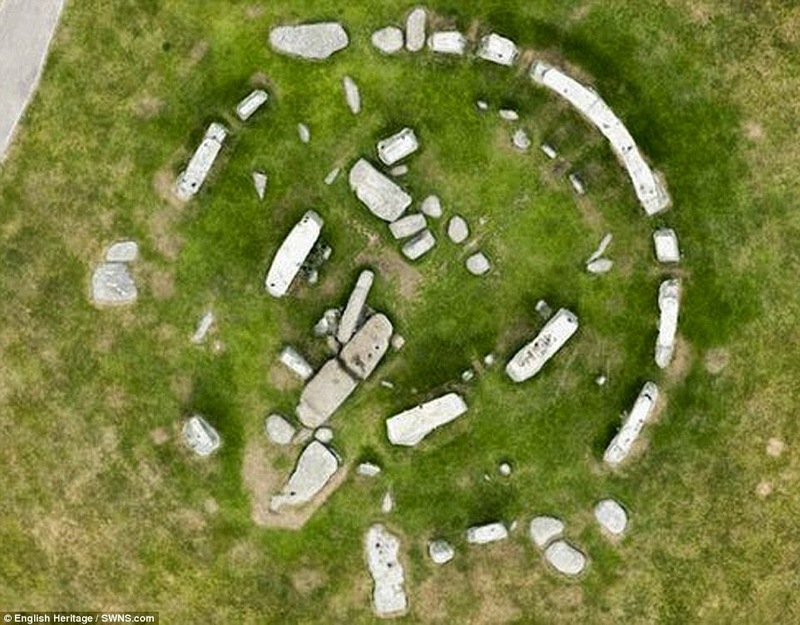 British project leader Professor Vincent Gaffney, Chair in Landscape Archaeology and Geomatics at the University of Birmingham, said: ‘The Stonehenge Hidden Landscapes Project is unique at a global level. Not only has it revolutionised how archaeologists use new technologies to interpret the past, it has transformed how we understand Stonehenge and its landscape. ‘Despite Stonehenge being the most iconic of all prehistoric monuments and occupying one of the richest archaeological landscapes in the world, much of this landscape in effect remains terra incognita. ‘This project has revealed that the area around Stonehenge is teeming with previously unseen archaeology and that the application of new technology can transform how archaeologists and the wider public understand one of the best-studied landscapes on Earth. ‘New monuments have been revealed, as well as new types of monument that have previously never been seen by archaeologists. All of this information has been placed within a single digital map, which will guide how Stonehenge and its landscape are studied in the future. Professor Wolfgang Neubauer, Director of the Ludwig Boltzmann Institute, said: ‘Developing non-invasive methods to document our cultural heritage is one of the greatest challenges of our time and can only be accomplished by adapting the latest technology such as ground-penetrating radar arrays and high-resolution magnetometers. The developments of the Ludwig Boltzmann Institute for Archaeological Prospection and Virtual Archaeology (LBI ArchPro) offer Europe the opportunity to carry out fundamental archaeological research at a scale and precision never previously attempted. The Stonehenge Hidden Landscapes Project is a collaboration between the University of Birmingham; Ludwig Boltzmann Institute for Archaeological Prospection and Virtual Archaeology, Vienna and its international partners; University of Bradford; University of St Andrews; and the ‘ORBit’ Research Group of the Department of Soil Management at the University of Ghent, Belgium. The project operates under the auspices of the National Trust and English Heritage. Operation Stonehenge: What Lies Beneath is due to be broadcast on BBC Two at 8pm BST on Thursday 11 September. The documentary will also be broadcast in the US (Smithsonian Channel), Canada (CBC), Austria (ORF), Germany (ZDF) and France (France 5). Images are available to download here. Video clips featuring interviews and general footage are available to download here and here. The Stonehenge Hidden Landscapes Project has brought together experts in non-invasive geophysical prospection and remote sensing, and specialists in British prehistory and landscape archaeology in order to carry out one of the most sophisticated single archaeological projects in Europe. The outstanding geophysical survey and visualization capabilities of the team has been made possible only because of the unique expertise and combined resources of the project partners, the Digital Humanities Hub and Department of Classics, Ancient History and Archaeology at the University of Birmingham; the Ludwig Boltzmann Institute for Archaeological Prospection & Virtual Archaeology (LBI Arch Pro) in Vienna and its European partners; the Division of Archaeological, Geographical and Environmental Sciences at the University of Bradford; the Department of Earth Sciences at the University of St Andrews; and the Soil Spatial Inventory Techniques Research Group at the University of Ghent. 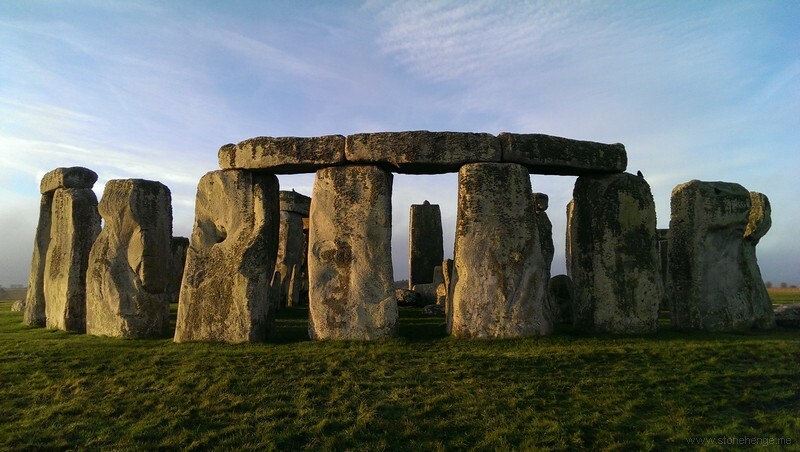 This project aimed to address gaps in our knowledge and understanding of the Stonehenge landscape by conducting a cutting-edge geophysical and remote sensing survey at an unprecedented scale and resolution. Beginning in July 2010, the fieldwork took about 120 days, spread over four years. Cutting-edge geophysical technologies, applied at an unprecedented spatial scale and resolution using multiple motorized magnetometers, ground-penetrating radar arrays, electromagnetic induction sensors, earth resistance surveys and terrestrial 3D laser scanners, have revealed the landscape of Stonehenge through the largest and most detailed archaeological prospection project. The results of the survey project are used to create a highly detailed archaeological map of the ‘invisible’ landscape, providing the basis for a full interpretative synthesis of all existing remote sensing and geophysical data from the study area. 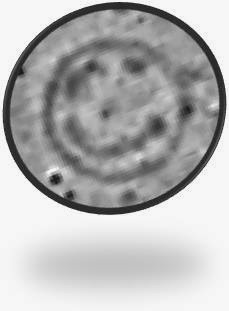 For the first time, it will therefore be possible to create total digital models of the Stonehenge landscape at a true ‘landscape scale’ that will not only transcend the immediate surrounds of individual monuments within the study area but will also tie them together within a seamless map of sub-surface and surface archaeological features and structures. The Stonehenge Hidden Landscapes Project is supported by the work of numerous young researchers and remote sensing and archaeological specialists. These include Klaus Löcker, Mario Wallner and Dr Geert Verhoeven (Austria), and Eamonn Baldwin, Henry Chapman, Paul Garwood and Dr Eugene Ch’ng (UK). The Stonehenge Hidden Landscapes Project is a collaborative work carried out under the auspices of the National Trust and English Heritage. The parchmark revelations first revealed on this blog last year and followed up by a grown up publication of a paper in Antiquity this year turned into a global story. A Google search showed many hundreds of reports of it, many majoring on the serendipitous short hosepipe. All the stories fons et origo was a BBC website story. As the last stop on his three-day trip to Estonia and the NATO Summit in Wales, President Obama visits the prehistoric monument Stonehenge. Disabled Parking: 8 spaces available in the VTS turning circle. These are permit-only and must be booked in advance by contacting Lucy Barker at lucy.barker@english-heritage.org.uk.